This is a guest post by Adrienne Erin. If you'd like to guest post on this blog, click here. 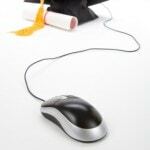 Attending college has become somewhat of a right of passage into adulthood for many people after high school. It is a time for them to further their education, professionally network, and to get a crash course in living independently. However, another unofficial aspect of college comes in the form of alcohol consumption. Frat parties and going out to bars have become almost synonymous with the university lifestyle, which can lead to a number of problems, both minor and major, for students. While drinking alcohol can be done in a responsible manner, the statistics among college students skew highly in the opposite direction. The video below by 12 Keys Rehab highlights some interesting – and disturbing – research about the prevalence and the cost of college drinking in the United States. Infographic by 12 Keys Rehab. Alcohol consumption is a fairly common practice in the United States, so common in fact, that Americans spent $163 billion on alcohol in 2011 alone. While this is quite a large sum of money, responsible drinking is not necessarily a bad thing. In fact, it has been shown that moderate alcohol consumption can even help to prevent heart disease. Unfortunately, the key word here is moderate and many people, especially college students, tend to over-do it when it comes to drinking alcohol. Approximately 80% percent of college students consume alcohol, which is roughly the equivalent to 17 million people. Out of those who do drink, 50% of them binge drink. This is more people than in the entire state of Virginia. Binge drinking has become such a common practice among students, and it is a very dangerous practice that should be addressed early on with students. What starts out as a fun night with friends can lead to quite a scary, or even fatal, outcome. Not only can it be dangerous, but alcohol consumption can rack up quite a price tag. On average, college students spend about $500 per year just on alcohol. Just think, those that are binge drinking pretty often are spending much more than that, causing financial burdens on other parts of life. Alcohol consumption can have numerous consequences among college students, both physically and academically. Assault and death are highly possible when drinking especially when they are drinking at a high rate which leads to blacking out and lack of self control. 1,825 students die every year because of alcohol related incidents that can be easily prevented. Additionally, 25% of students have reported that drinking has caused them to fall behind in class and attain lower grades. This can be detrimental to having a successful college career and can even prevent a student from graduating. Furthermore, legal problems can arise from what started as just having a few drinks with friends. It is reported that 5% of students become involved with the police because of drinking. Some of which include incidents that could severely alter a student’s future. 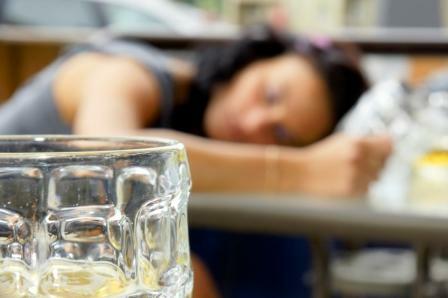 Addiction is a highly possible outcome from drinking among college students. They begin to consume it at overwhelming rates, become dependent on the buzz and ultimately find themselves being labeled as an alcoholic. There are numerous resources to help college students, as well as other adults, to receive the help that they need. Rehab centers, such as 12 Keys, offer addicts a space for ultimate treatment of their problem. Many schools also offer counseling services that can be a great resource for those whose drinking problem is perhaps not quite as severe. Either way, there are options for students who succumb to the unfortunate possible outcomes of drinking, although ideally it should never get that far. Students and their parents should be having honest and open conversations about alcohol consumption from the get go, in order to prevent becoming another statistic related to college drinking. Alcohol can have detrimental effects on a student’s academics and future career as well as an impact on their health. It is important to address safe drinking before a student even gets to college, so that students are able to stay safe while they are practicing their independence. This guest article was written by Adrienne Erin who is a freelance writer and designer. In college, she founded a substance-free housing group with her roommate for students who chose to abstain from alcohol. Now that she has graduated, she loves that her design work has enabled her to continue promoting alternatives to the college drinking culture.